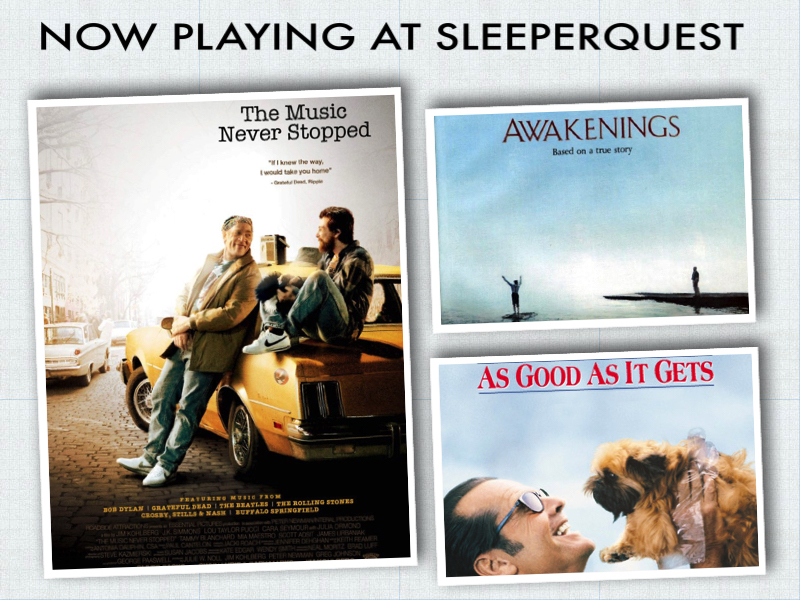 The Perfect Family was added to SleeperQuest favorites from 2011. A devoutly Catholic wife and mother has been nominated for one of the church’s top awards. She then goes about trying to prove she has the “perfect” family, refusing to accept them for who they are. She has nothing to hide except her family. Truth is stranger than family. Some families can survive anything, even each other. Hick was added to SleeperQuest favorites from 2011. Live doesn’t come with a roadmap..
A father struggles to bond with his estranged son who suffers from a brain tumor which prevents him from forming new memories. For a father and son who have drifted apart, music may be their last chance..